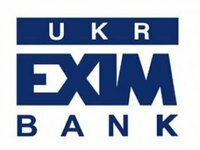 State-run Ukreximbank (Kyiv) has asked the holders of its loan participation notes (LPNs) worth $600 million, due on January 22, 2018, to agree to the cancellation of the 2018 notes in consideration for issuance by the issuer of the new 2025 notes, the issuer said on the website of the Irish Stock Exchange (ISE). A meeting of noteholders is scheduled for July 7, 2015. To be passed in relation to the 2018 Notes, the extraordinary resolution must be passed at a meeting or adjourned meeting, as applicable, duly convened and held by a majority of not less than three-quarters of the votes cast. The implementation of the reprofiling will require registration of the amendments stipulated by the 2025 amended and restated loan agreement with the National Bank of Ukraine (NBU). As reported, the ad hoc committee of the holders of 30% of Ukreximbank loan participation notes supported their restructuring. Investors, in particular, approved changes to the terms of eurobond circulation with a maturity term until July 27, 2015 in accordance with the bank's proposal, which was released on April 20. According to the proposal, the maturity of the securities is extended by seven years. At the same time, a depreciation mechanism is foreseen for the repayment of securities: 50% of the principal amount on April 27, 2019, the remaining 50% - in six equal semi-annual installments. The coupon rate on eurobonds is increased to 9.625% from 8.375% per annum. The ad hoc committee also approved the extension of all the other bank's loan participation notes worth $125 million due on February 9, 2016 and worth $600 million due on January 22, 2018 for seven years. As in the previous case, both issues foresee an amortization repayment mechanism: on 2016 eurobonds 50% of the principal amount are payable on February 9, 2020, the remaining 50% - in six equal semi-annual installments starting from August 9, 2020; 2018 eurobonds - 50% of the principal amount is payable on January 22, 2021, the remaining 50% - in eight equal semi-annual installments starting from July 22, 2021. The coupon rate on 2016 eurobonds is increased to 7% plus six-month LIBOR from 5% plus 12-month LIBOR, on 2018 eurobonds - to 9.75% from 8.75% per annum.